Gunland is a kickstarter documentary about the Gun Violence in the inner city. Seemingly, a good number black gun control proponent love to remind me of my blackness, as if to say I can’t be a young black male who grew up in an urban environment and be pro gun. I am all for shedding light on the Gun Violence in the inner city, but I think the focus is misdirected. Do guns make it easier for these kids to kill each other, of course, the same way it makes it easier for a 65 year old lady in the same environment to defend herself. 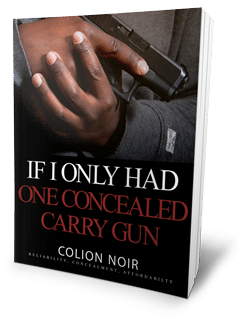 I’m black, young, and live in the city, and have more guns than I know what to do with, but I never had the desire to murder anyone. Some of these kids barely have half a gun and are killing each other without a second thought. By all accounts, I should be a raging lunatic if guns cause people to kill. It’s the person, not the gun. The environment may shape the person, but it’s still the person who ultimately decides to engage in violence whether a gun is present or not.